bears! | ifindkarma. elegance is refusal. We all could use a bear hug from time to time. Panda + martini + cake = Lushy Ling Ling! Jeff Barr, a wolf, and a leopard! 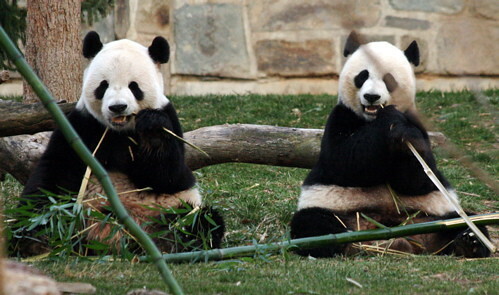 Tian and Mei chew the ‘boo! Knut is cuter than a thousand kittens! Yi says, “OMG I want to SQUEEZE him to death.” Thanks, cuteoverload.